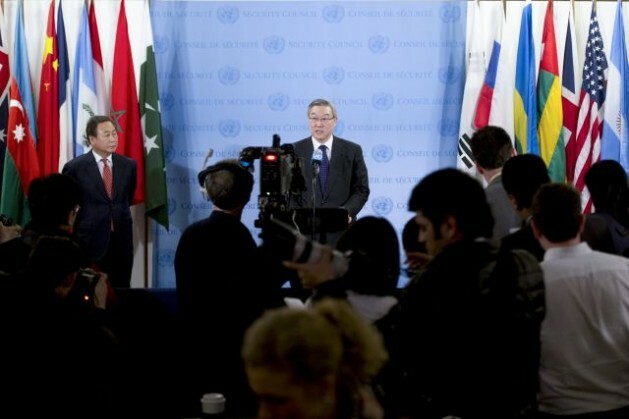 UNITED NATIONS, Feb 12 2013 (IPS) - North Korea, which conducted its third nuclear test Monday, is following closely in the heavy footsteps of Israel as one of the world’s most intransigent nations, ignoring Security Council resolutions and defying the international community. The 15-member Council met in an emergency session Tuesday and issued a predictable statement condemning the test as “a grave violation” of its three resolutions and describing North Korea as a country which is “a clear threat to international peace and security”. On Tuesday, the Council claimed it “will begin work immediately on appropriate measures” in an upcoming, possibly watered down, resolution. Asked if the test proves that North Korea, also known as the Democratic People’s Republic of Korea (DPRK), is ready to go nuclear, Phillip Schell, researcher on the Nuclear Weapons Project, Arms Control and Non-proliferation Programme at the Stockholm International Peace Research Institute (SIPRI), told IPS Tuesday’s test doesn’t prove that North Korea is on the verge of becoming a full-fledged nuclear power, comparable to the P5. “The fact that others sinned with impunity before the international community could establish the nuclear test ban treaty is no excuse now,” Johnson said.